We use the highest print technology and material to achieve uncompromising print quality. This yields a remarkably bright high contrast fine art print with wider color gamut. We print on Crystal Archive paper, face-mount it on 1/8" Museum Quality Plexi and carefully place the print on top quality Di-bond with aluminium wall-mount. The final product is a spectacular fine art print that appears 3-D and has an archival lifetime of over 100 years.  Have a Karimi Fine Art Original artwork on your wall. All the fine art photos are uniquely captured and handpicked from the best moments of more than 60,000 pictures taken from all around the world. We design fine art sizes meticulously for utmost compatibility with your interior spaces. Our sleek and minimal artworks complement any style and space.